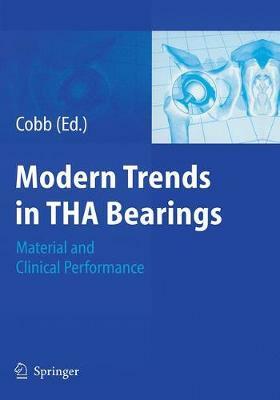 In the present book with the title "Modern Trends in THA Bearings - Material and Clinical Performance" a notable editor and many worldwide renown experts are contributing to this topic. The surgeons are describing their long-term experience regarding the behaviour and clinical performance of primary and revision hip arthroplasty. Material aspects, indications, surgical techniques as well as problems and recommendations for different bearing couples are extensively discussed. The clinical performance of ceramic bearings is highlighted as well as the recommendations for safe implantation. Altogether, for the experienced surgeon as well as for the resident, this book gives a valuable overview on the state-of-the-art techniques and bearing materials used in hip arthroplasty.